Dreaming about your next vaycay already? We travel not to escape life, but for life not to escape us. 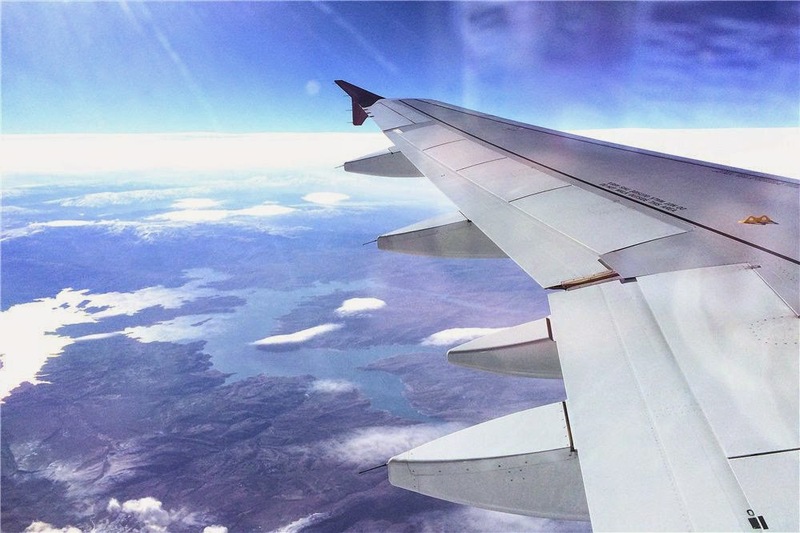 Travelling is about stepping out of your comfort zone and being willing to take risks. It was the experiences I'd gained through getting lost and being clueless in an unfamiliar place that moulded me into someone stronger, mentally and physically. "Once a year, go to someplace you haven't been before." I love this quote to death and am living by it. 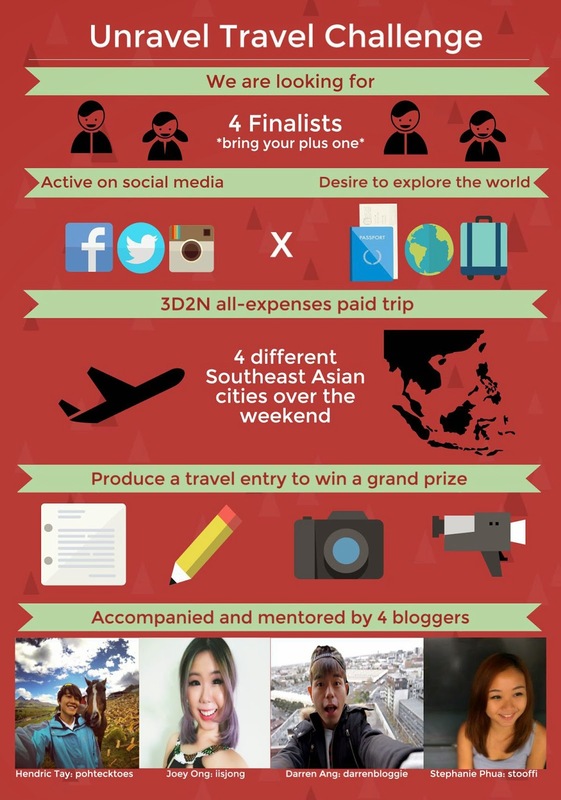 Thanks to the Unravel Travel Team, I am one of the influencers who will be going off the beaten track to a mystery Southeast Asian city as a mentor with a pair of finalists to a place we've never been to before, all-expenses paid! Putaxai what!? There's a Buddha Park!? How tall is that Mandalay Hill!? ∑(O_O；) YOU can be whisked off to your next travel destination with me for FREE to find out! Wait... What is this all about? The Unravel Travel Campaign is run by students from Nanyang Technological University's Wee Kim Wee School of Communication and Information as part of their final year communications project. It is supported by the Changi Airport Group. They are seeking for young adults in Singapore like you and I to deepen our understanding of travel. 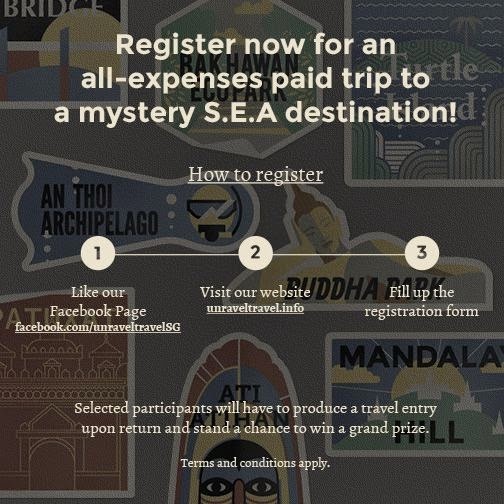 For this campaign, the Unravel Travel Team will bring 4 lucky finalists and their +1 on an all-expenses paid trip to a mystery Southeast Asian city. They will be accompanied by 1 of the 4 blogger mentors. 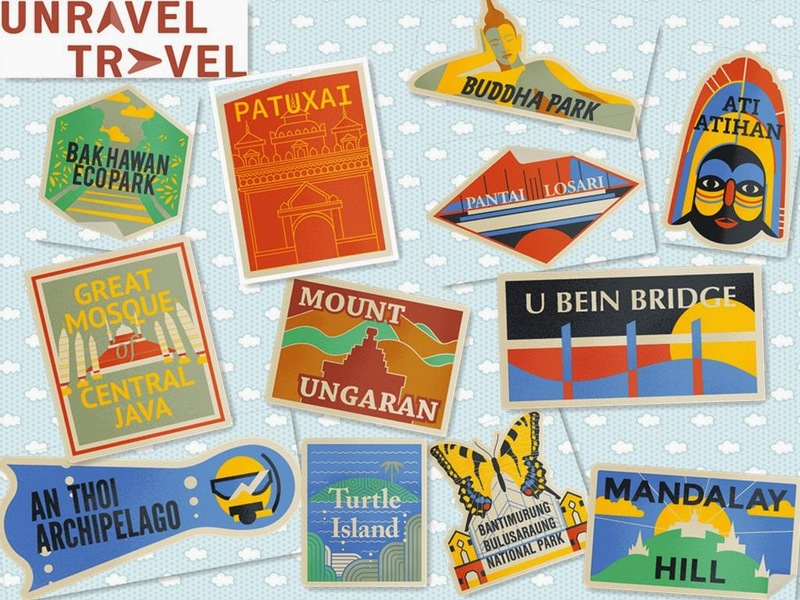 This is to encourage us to explore and share the lesser-known, undiscovered gem destinations. The 4 mentors are Hendric, Darren, Stephanie and myself. 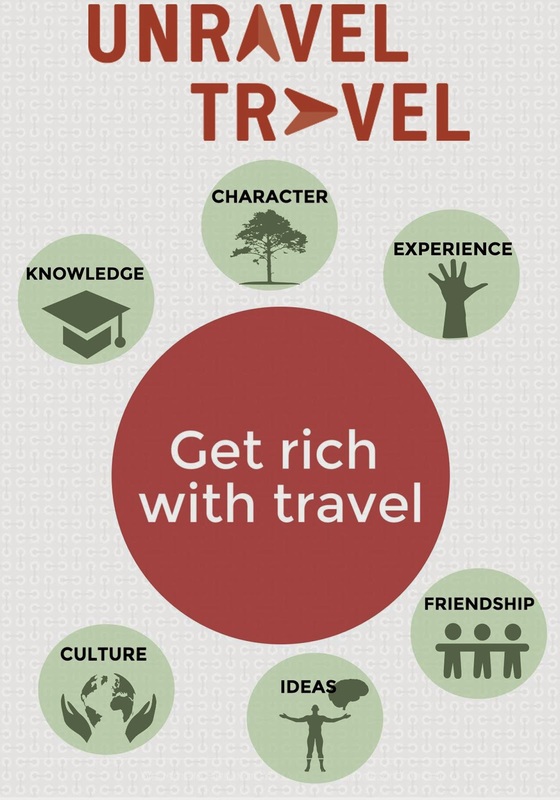 As seasoned travellers, we will be imparting our skills to you on how we produce a quality travel entry. So how do I get chosen? 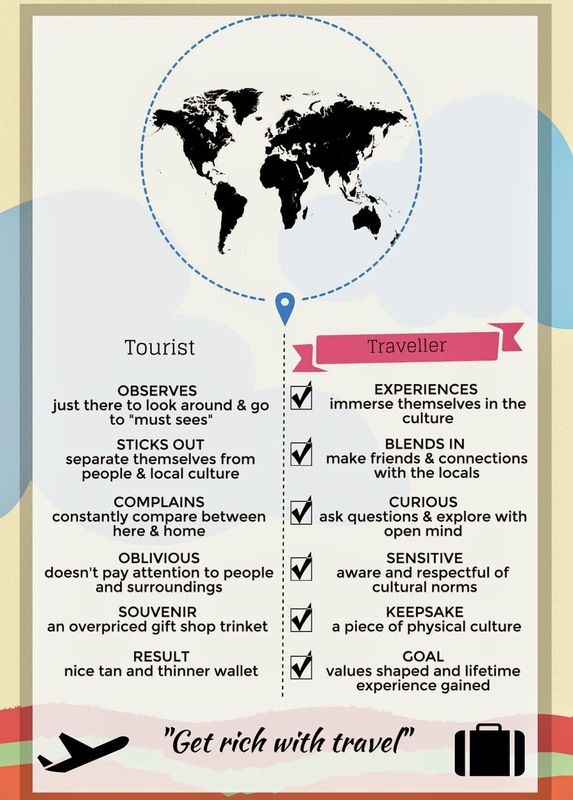 There are 2 basic criteria: active on social media and desire to see the world. Aren't we all? 20 participants will be selected and asked to submit a short write up on why they should be 1 of the 4 finalists. That's super easy peasy!? If I do get chosen, what am I supposed to do? You'll also have to submit ONE travel entry about the destination at the end of the trip. This can be in the form of a blog entry, photo journal or vlog. The best travel entry will walk away with another Grand Prize! When are the travel dates? 1) 28th February 2015 - Pre-trip Orientation at Changi Airport. 3) 14th March 2015 - Last day of entry submission. Dang, I wanna go so badly! How do I sign up? Waiting for you to ask only! Registration closes on 15th February 2015. For more updates on the campaign, follow me on Facebook, Twitter and Instagram.